There are many benefits for you and your baby when you incorporate a yoga and fitness practice into your life! Your balance increases and your posture improves, as you become stronger and more flexible, especially in your hips where it is needed the most. Building strength and flexibility, while relieving the aches and pains associated with your changing body. Being active can also reduce anxiety and increase your confidence. By connecting you to your breath and your body, you can bond with your baby and prepare for birth. Yoga also teaches our body how to rest on demand, a skill every new parent needs. 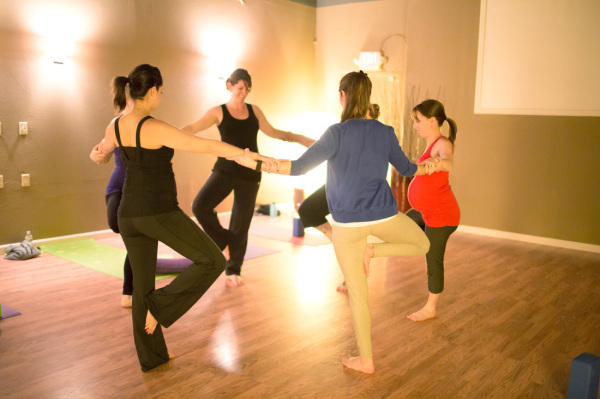 The best part of The Nurturing Nest yoga and fitness classes is building a community of people who have babies so you can share and connect with each other. 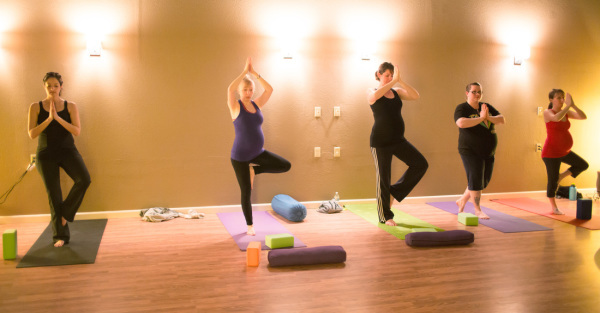 ALL CLASSES CAN BE MODIFIED FOR PREGNANCY AND POSTPARTUM!!!!! Please make sure to add your child to the childcare 'class' on our schedule so we have appropriate staffing! 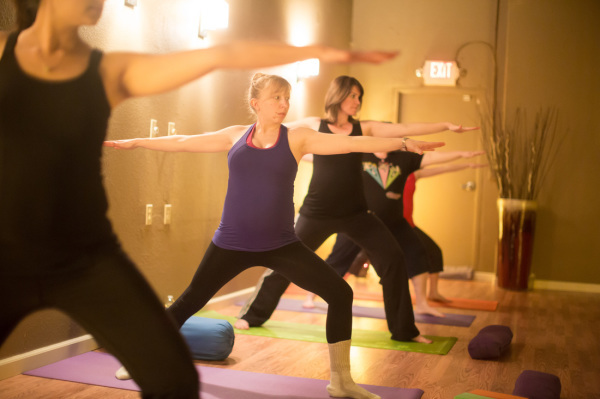 Energetic Flow Yoga is designed for those who want and need to fill themselves back up. 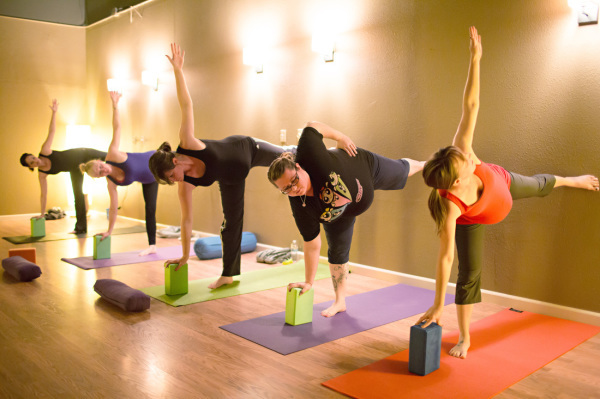 This class offers a healthy balance of strength-building and tension-reducing poses. Energetic flow yoga will help you reconnect with your own inner strength and allow you to walk back out into the world with more energy and more confidence. Modifications are always offered so that people of all fitness levels are welcome. 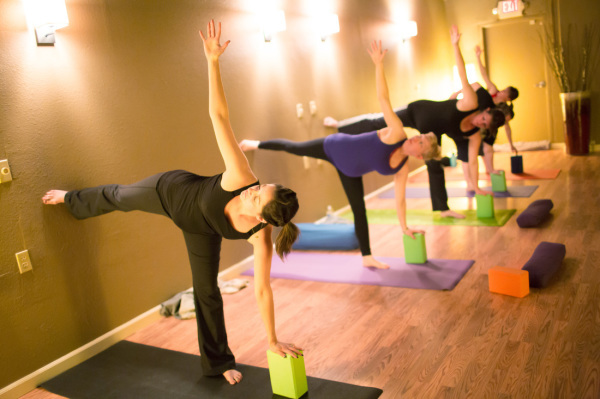 Mellow Flow Yoga offers a chance to tune in with often forgotten parts of ourselves through awakening inner strength. Classes are generally lighthearted, breath-centric and with emphasis on healing and strengthening through proper alignment. Strong as you want, gentle as you want: modifications will be taught and encouraged. Internal awareness. Breathing. Moving. Feeling confident in your body and spirit. Perfect for all ages, shapes and levels. In this circuit-style strength building class we will focus on those "mommy muscles" for a full body workout specifically designed with pregnant and postnatal moms in mind. In this fun and heart pumping class we will work all the muscle groups, with focus on the needs of moms, whether expecting or experienced, this workout will give you the boost you need! ourselves through awakening inner strength and are appropriate for people of all ages and stages in life. It can help bring peace to the mind and body, breath-centric and with emphasis on healing and strengthening through proper alignment. Modifications will be taught and encouraged. Internal awareness. Breathing. Moving. Feeling confident in your body and spirit. Enjoy a gentle workout and all the benefits of bonding with your child at the same time! Pregnant mamas are welcome too. Childcare is provided - for siblings, or in case your little doesn't want to participate! Prenatal yoga brings health and wellbeing throughout pregnancy and helps you prepare mentally and physically for childbirth. Through yoga poses, breath exercises, visualizations and deep relaxation we strengthen and stretch, increase body-breath awareness, release fear, tap into intuition and connect with baby. This practice is suitable for all trimesters and all levels of fitness. No prior yoga experience is necessary. Postnatal students are welcome.